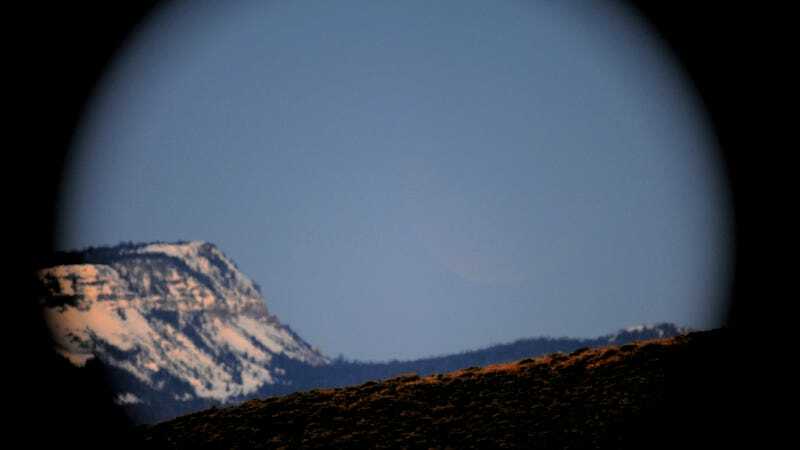 There is a full moon hidden in this photograph — can you find it? It might take you a few moments to spot, but there is actually a full moon looming entirely within the frame of this picture, hidden in plain sight. In fact, the photographer who captured this image couldn't see the Moon at all (at least not with his naked eye); but he did know where to look for it, and how to use a long exposure on his camera to tease it out of hiding. Find it yet? If not, check this hi-res version; you'll want to look just right of the center of the image. Once you've spotted it you'll almost feel strange for not noticing it sooner, especially considering just how large it is relative to the other objects on the horizon. So what makes the Moon so hard to locate in the first place? For one reason, this photograph was taken during the total lunar eclipse last month, when the Earth's shadow made the Moon much dimmer than a normal full Moon. For another, the image, taken in Colorado, USA, was captured just 12 minutes before sunrise. With the Moon on the exact opposite side of the sky from the Sun, this meant that the Sun was just below the horizon, but still slightly illuminating the sky. Last, as the Moon was only about two degrees above the horizon, the large volume of air between the camera and the horizon scattered a lot of light away from the background Moon. Twelve minutes after this image was acquired the Sun peeked over the horizon and the Moon set.